We use a third party PCI Compliant Payment Gateway for your credit card transaction or payment. 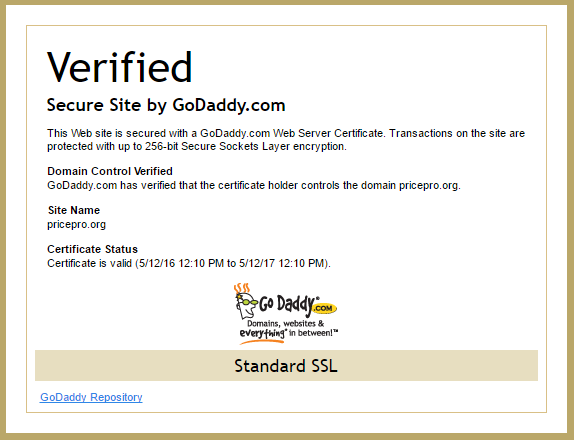 SSL or SSL Certificate, what is it? PCI Complaint, what is it? PricePro uses the payment gateway Stripe (Stripe.com). We at PricePro make sure that your personal and credit card information is handled in the most secure way, and by using a PCI compliant third-party we ensure that. The PCI stands for Payment Card Industry Data Security Standard (PCI DSS). This is a set of requirements designed to ensure that all companies that process, store or transmit credit card information must keep a secure environment. This standard was launched in 2006. Stripe has been audited by a PCI-certified auditor and is certified to PCI Service Level 1. This is the most stringent level of certification available. 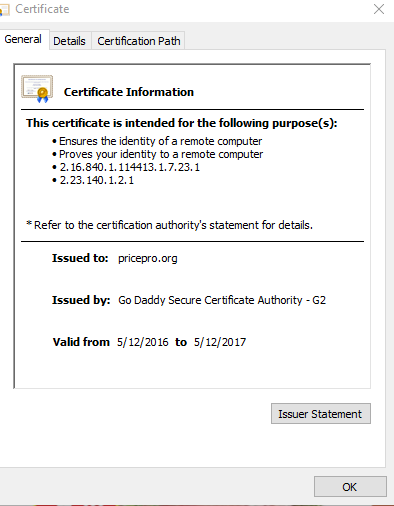 You can see their certification here: http://www.visa.com/splisting/searchGrsp.do?companyNameCriteria=stripe .